Grover Norquist, Americans for Tax Reform: On January 1st, American taxpayers will experience the largest tax increase in U.S. history. As the ball drops on the New Year, we will experience an immediate $500 billion tax hike and the Mainstream Media is doing everything it can to avoid covering this fact. For those Americans struggling to find a job, this massive tax increase will not make it any easier. Sadly, Liberals in Washington and political commentators are already salivating over the idea of additional taxes. 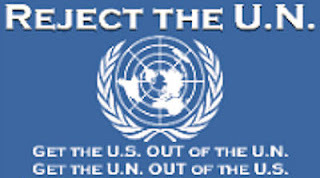 They cannot stand the idea of a federal government that lives within its means. As you approach election season, it is vitally important that you ask candidates and elected officials about the coming Taxmageddon: do they support raising taxes on millions of Americans or will they fight for lower taxes and less government spending? You have the right to know where your elected officials and candidates for office stand on important issues. One of the best ways to know where a candidate stands on taxes is the Taxpayer Protection Pledge. Currently, 238 members of the U.S. House of Representatives and 41 U.S. Senators have taken the Pledge, which is a written commitment to oppose net tax hikes. In addition, there are over 247 candidates running for Congress that have made that same commitment. Click here to see if your candidate or elected official has signed the Taxpayer Protection Pledge. President Obama has promised to let the 2001 and 2003 tax cuts expire. If this happens, the only way to immediately reverse Taxmageddon in 2013 is to elect officials who promise to oppose higher taxes. Candidates who sign the Taxpayer Protection Pledge have made that promise to taxpayers. Elected officials will only focus on reining in Washington’s irresponsible spending binge when tax hikes are taken off the table. The first step in that process is making sure they promise to hold the line on taxes. Grover Norquist is founder and president of Americans for Tax Reform. He is a conservative activist, a popular speaker, and a member of the Council on Foreign Relations. Norquist is the author of the book Leave Us alone: Getting the Government's Hands Off Our Money, Our Guns, Our Lives. Higher taxes on marriage and family. The “marriage penalty” (narrower tax brackets for married couples) will return from the first dollar of taxable income. The child tax credit will be cut in half from $1000 to $500 per child. The standard deduction will no longer be doubled for married couples relative to the single level. Middle Class Death Tax. The death tax is currently 35% with an exemption of $5 million ($10 million for married couples). For those dying on or after January 1 2013, there is a 55 percent top death tax rate on estates over $1 million. A person leaving behind two homes and a retirement account could easily pass along a death tax bill to their loved ones. Higher tax rates on savers and investors. The capital gains tax will rise from 15 percent this year to 23.8 percent in 2013. The dividends tax will rise from 15 percent this year to 43.4 percent in 2013. This is because of scheduled rate hikes plus Obamacare’s investment surtax. Medicare Payroll Tax Hike. The Medicare payroll tax is currently 2.9 percent on all wages and self-employment profits. Starting in 2013, wages and profits exceeding $200,000 ($250,000 in the case of married couples) will face a 3.8 percent rate. “Special Needs Kids Tax.” Imposes a cap on FSAs of $2500 (now unlimited). Indexed to inflation after 2013. There is one group of FSA owners for whom this new cap will be particularly cruel and onerous: parents of special needs children. There are thousands of families with special needs children in the United States, and many of them use FSAs to pay for special needs education. Tuition rates at one leading school that teaches special needs children in Washington, D.C. (National Child Research Center) can easily exceed $14,000 per year. Under tax rules, FSA dollars can be used to pay for this type of special needs education. This Obamacare cap harms these families. Medical Device Tax. Medical device manufacturers employ 360,000 people in 6000 plants across the country. This law imposes a new 2.3% excise tax. Exempts items retailing for <$100. “Haircut” for Medical Itemized Deductions. Currently, those facing high medical expenses are allowed a deduction for medical expenses to the extent that those expenses exceed 7.5 percent of adjusted gross income (AGI). The new provision imposes a threshold of 10 percent of AGI. Waived for 65+ taxpayers in 2013-2016 only. The AMT will ensnare over 31 million families, up from 4 million last year. According to the left-leaning Tax Policy Center, Congress’ failure to index the AMT will lead to an explosion of AMT taxpaying families—rising from 4 million last year to 31 million. These families will have to calculate their tax burdens twice, and pay taxes at the higher level. The AMT was created in 1969 to ensnare a handful of taxpayers. Full business expensing will disappear. In 2011, businesses can expense half of their purchases of equipment. Starting on 2013 tax returns, all of it will have to be “depreciated” (slowly deducted over many years). 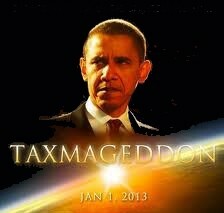 Tags: Taxmageddon, high taxes, more taxes, Jan 1, 2012, Grover Norquist To share or post to your site, click on "Post Link". Please mention / link to the ARRA News Service. Thanks!